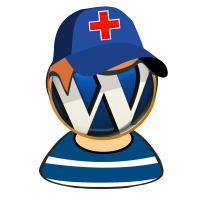 Home of the soon-to-be released Paramedic tool, allowing you to instantly test and fix plugin and theme conflicts..! But, due to fast upcoming release of the new Block Editor in WordPress 5, I decided to quickly work on and release a plugin for selectively enabling by default the Classic Editor (TinyMCE) or Block Editor (Gutenberg). Hilariously (I think) called Guten Free Options, it allows you to choose exactly which editor by default according to a range of available conditions – plus allowing you to easily switch between them! Check it out.